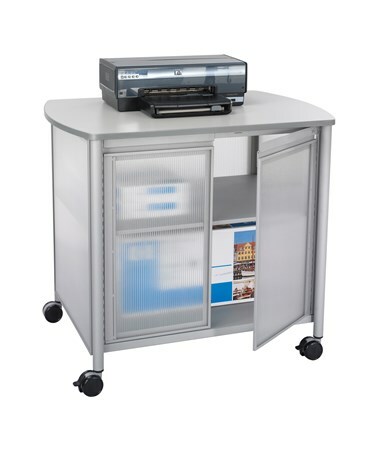 The Safco Impromptu Machine Stand with Doors is a secure and stylish mobile machine stand great for home and office use. It features a 34.75-inch top surface with a weight capacity of 100 pounds and two-door lower compartment. 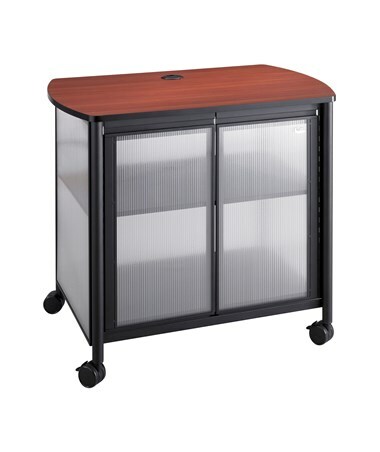 It includes an interior shelf that can hold up to 50 pounds of weight. Also featured are grommets for cable management. Four 2.5-inch swivel casters allow smooth transport of the cart and two of these casters can be locked for a stationary option. 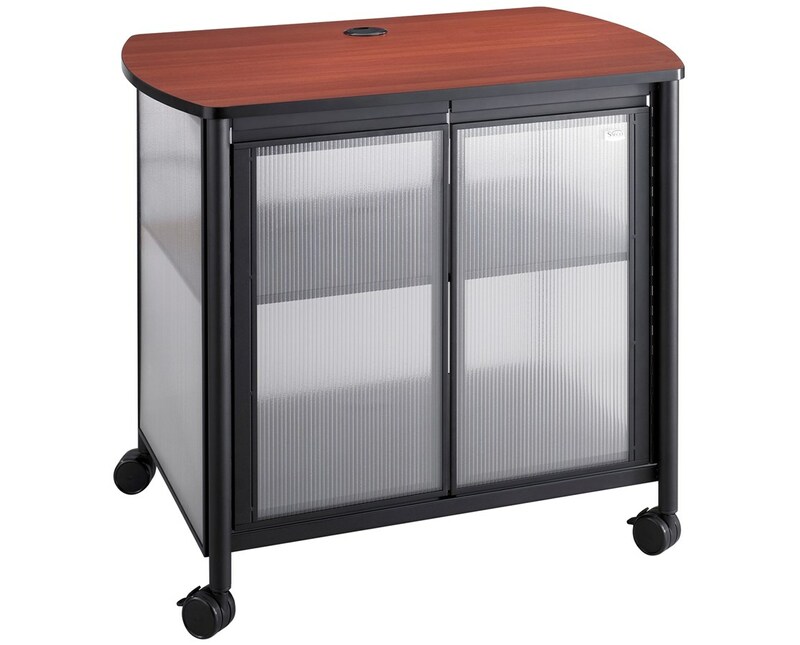 This machine stand has a furniture-grade wood top and shelves and steel legs with powder coat finish, while the doors and panels are made of translucent polycarbonate. 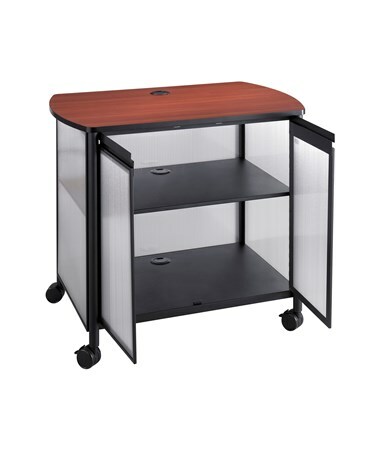 This mobile stand is GREENGUARD certified, meaning it is safe for indoor use. 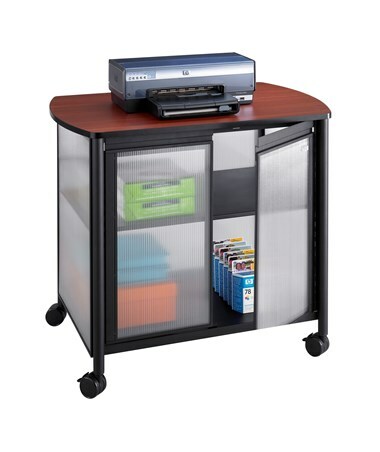 The Safco Impromptu Machine Stand with Doors is available in two different colors. Please select your preference from the drop-down menu above.